Voting is a fundamental right for everyone, including citizens with disabilities. 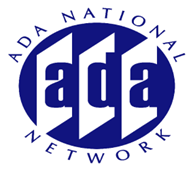 This timely webinar will cover access to polling places, from arrival onto the site to the casting of ballots, as required under laws such as the Americans with Disabilities Act (ADA) and the Help America Vote Act (HAVA). Presenters will review design requirements for accessible routes, parking, entrances, and voting equipment to ensure that polling places and the voting process are inclusive of all. This includes the Voluntary Voting Systems Guidelines (VVSG) promulgated by the Election Assistance Commission (EAC). HAVA requires that at least one voting machine in every precinct, all across the nation, be accessible to people who are blind, have low vision, or have limited hand dexterity. This webinar will include discussion and examples of the technologies used by accessible voting machines. 1 In States such as Illinois that, in addition to traditional polling places, are also offering "early voting" options at a variety of non-traditional polling locations and which may in some jurisdictions include mobile voting facilities. Please discuss the applicability of the ADA, HAVA, and VVSG regulations/requirements to these alternative voting locations. 2 Are toilet rooms encompassed in the Voting Place requirements to be accessibility compliant?